Excitement and anticipation never waver when it’s time to release a new mag, and our Brides of Austin Spring/Summer 2019 issue launch at Springdale Station was no different! We were so thrilled to be in Austin on a gorgeous spring day to mingle with the top wedding vendors in central Texas and celebrate another beautiful magazine hitting newsstands! Springdale Station was the perfect spot to host our bi-annual brunch, and this time, we wanted guests to feel right at home. A lounge area from Scavenged Vintage Rentals, inviting tables from Marquee Event Rentals and homestyle gourmet bites from Rosemary’s Catering welcomed our honored guests, while Party at the Moontower created a station for Live Love Relax to provide massages! Such hospitality shown by these vendors and by all the sponsors involved! Of course, it wouldn’t be a party without dessert, and as usual, The Powder Sugar Room went above and beyond. We loved their light-as-air macarons and other bite-sized goodies! Outside, guests enjoyed yard games and music from Altared Weddings, while Vannagram‘s super fun retro van morphed into one of the cutest photobooths we’ve ever seen. Beautiful blooms by Wildly Cultivated livened up the entire space and, as our publishers spoke and guests interacted, Sasha Haagensen captured all the action on camera. 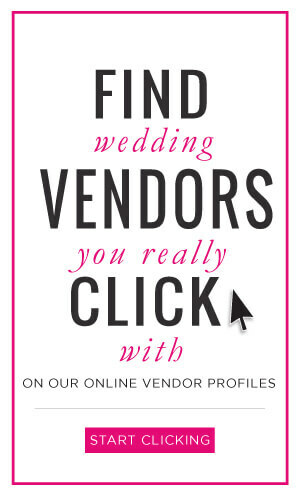 Take a peek below at this event and be sure to pick up a brand new Brides of Austin magazine for yourself, on stands now! Cheers! Bespoke, refined and sophisticated: these are just a few of the words we’d use to describe the gorgeous work of Christine Hunt of of Grey Meets Gold Print Shop! “Anytime I can use a wax seal, I’m a happy lady,” Christine says. “I LOVE working with handmade paper, letterpress and wax seals for my brides’ wedding stationery! These are by far my most common requests to utilize in their wedding invitations.” Grey Meets Gold offers custom fine art wedding stationery, day-of paper goods and hand calligraphy services to couples in the Austin area and beyond. We’re loving the bold tones and fine art style of the Grey Meets Gold suites below, captured at Trinity Hall by Elizabeth Denny Photography. Check back into the blog in the upcoming days as we introduce more of Austin’s top invitation designers, and read more about Christine’s heart behind her business below! How did you get into wedding invitation design? I originally started off writing a blog back when I had just graduated from University. This was more of a means to help me document what I was going through as a newly engaged lady planning a wedding! My readers really enjoyed learning more about what I was going through and my processes and to do-lists for wedding planning. Now, I had always had a bit of an obsession with paper and print methods, especially handmade paper and letterpress. Be still, my beating heart! So of course when I started working on wedding invitations, my readers became even more intrigued with what kind of stationery I would be using. That got me thinking: I had really enjoyed planning my wedding, but I knew I didn’t want to become a wedding planner. One day, my husband and I were sitting down to dinner to discuss our next move, as we are in the military, you see, and he suggested I start my own wedding stationery business. I had created holiday cards, birthday and bridal shower invitations for some of my sorority sisters over the years so he and I both knew I really enjoyed it. And that was that. The next day I started looking into turning my blog, Grey Meets Gold, into an actual business. What elements in your personal design/style set you apart in the wedding industry? My style is defined by refinement, tasteful restraint and an almost implausible attention to detail in design. My approach is to create refined, timeless, organically lush design while infusing personal touches that are unique to my clients. What inspires your overall designs? I have always loved how old world European architecture just seems to transport you to another time and place. I am of Scottish ancestry, so I grew up reading folklore and mythology. Fairies, giants, mystical creatures – those sorts of things. I wanted to tie my love for my heritage into my designs! I am in awe of the organic beauty of nature and the simplicity of modern calligraphy. You’ll find soft, subtle hints of all these elements throughout my designs. For this particular project, Christine was inspired by a light and airy springtime aesthetic and wanted to channel a sophisticated garden party vibe for the suite. She’s not one to follow trends, but she does believe in thinking outside the box for your invitations, whether that’s using unique materials like leather, acrylic or velvet, or simply paying attention to the smallest of details to really leave an impression on your guests when they open their envelopes. 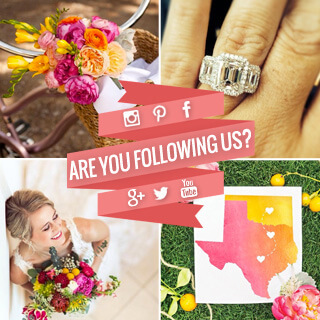 To see more of Christine’s work, check out her Brides of Austin vendor profile! Cheers! Compliments to the chefs, we’re diving into the latest and tastiest in local catering trends in this eye-catching editorial from our new Spring/Summer 2019 issue aptly titled Color Palate: Delicious Dishes in Craveable Colors. Shot at Brazos Hall by Cory Ryan Photography, Austin’s greatest chefs (and mixologists!) whipped up their very best and brightest plated creations, from fresh catch to cheeseboards and everything in between! Grab your fork and get ready to delight in these delectable dishes below! Cheers!